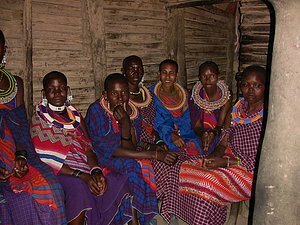 The Maasai of Tanzania: The Maasai have interesting cultures. Most of them consider a man's worth related to how many cows he owns. 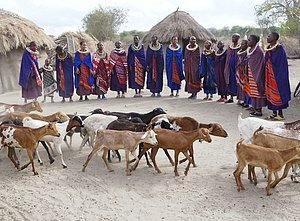 The more cows you have the more wealthy one is in the Maasai world. Many of them have multiple wives. 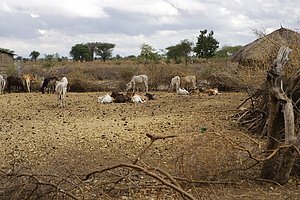 Below is series of photos taken in a Maasai camp that I was lucky enough to visit. While I was there I got to see some of their interesting activities. 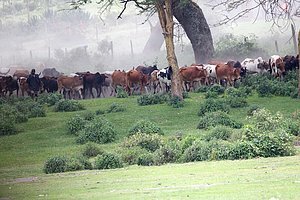 It is common to see Maasai leading their cattle from area to another for grazing. 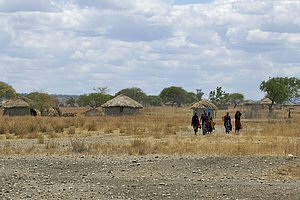 A old village in central Tanzania showing the multiple wives of a wealthy Maasai farmer. Fencing to keep cows in and predators out. 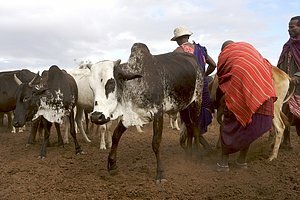 The farmer who owns the cattle. This wife is displaying some of her bead work which she sells to tourists who are allowed to view her family camp and farm. 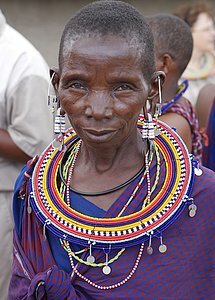 There were at least 8 other wives of this particular Masai warrier. 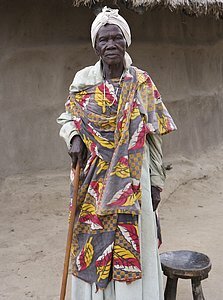 This lady is a great grandmother to many in the tribe. She allowed me to take this picture as she stands proudly by her house. 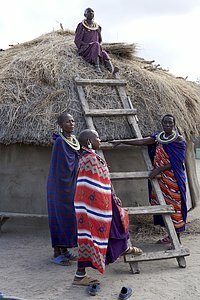 The women of the tribe do all the work in and about the home. 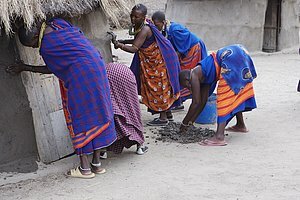 Here tribal women are shown repairing the side of house with fresh mud. 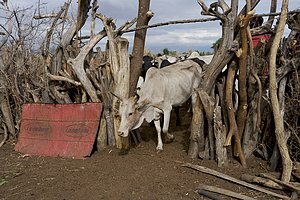 The mud is a mixture of actual mud and cow dung. Again the women take care of most all household duties. A typical home such as this will have a fire place in the center and cots and other furnishings spread around the inside perimeter. 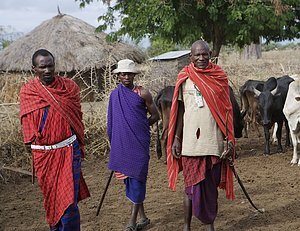 Sometimes the Masai have to walk several miles carrying jugs to get well water for their home usage.